The terrorist attacks that took place on Sept. 11, 2001 shook the entire world, leaving a profound impact on society as a whole. The terrorist attacks left the United States in devastation as people tried to cope with the tragedy. The U.S. continues to work toward recovery while also remembering and honoring the victims of the event. In order to pay respect and highlight the importance of understanding the event, the 9/11 Memorial Museum was erected. Not only for American citizens but for people across the globe, visiting the museum is a heartbreaking but eye-opening experience. 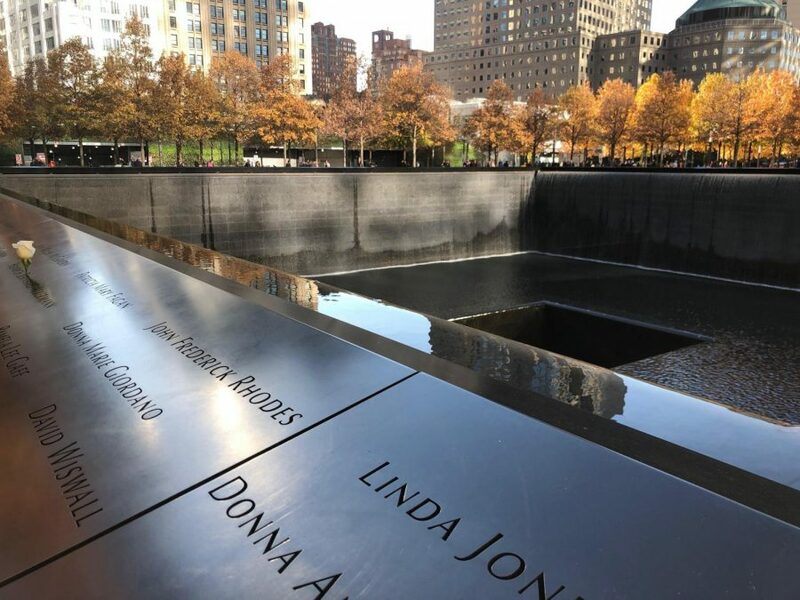 On Nov. 4, a number of students from the Yorba Linda High School publication staff visited the 9/11 Memorial Museum during a class trip to New York City. As they neared the World Trades Center every student’s heart grew heavy. Joyous laughter turned into respectful silence as each and every person tried to deal with their feelings regarding the American travesty. Standing outside the building and looking over the memorial pools while reading the thousands of names carved into the stone was incredibly difficult, but entering the building created a completely new atmosphere. Despite the September attacks having occurred long before the birth of many museum visitors, it remained heartbreaking and important nonetheless for all that were present. Yorba Linda sophomore, Jillian Gray, is one of the many students that were profoundly impacted by their visit to the museum. “[I saw] a traumatic part of history materialize around me, making me feel closer and gain a better understanding of an awful event that I was not alive for,” Gray said. The memorial has transformed a place marked by terror into a location for learning and healing. New York City especially is still trying to recover following the calamity. The museum has helped to rebuild their community and deal with the unbelievable event. But the September attacks weren’t a local event or even a national one, it was a moment in history that has impacted the entire globe for centuries to come.